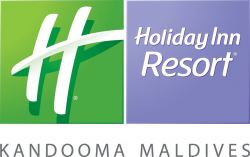 Housekeeping Supervisor Exp-3+ years Language- Speaking BANGALI language is an advantage Location- Reethi Faru Resort -Maldives Reporting to the Head Housekeeper The Housekeeping Supervisor will be responsible for overseeing and carrying out the daily servicing of bedrooms and communal areas. In the absence of the Head Housekeeper he/she will act as a first point of contact for guests, Housekeeping staff, the Lodge and Conference and Events Manager. Their main responsibilities will be:- Supervision and allocation of housekeepers to cleaning areas. To be solely responsible for overseeing weekend work during conference season. Monitoring and where necessary correcting the hygiene and cleanliness of College staircases and associate rooms. Monitoring College furnishings, soft furnishings and bedding in good order, ensuring it is regularly inspected and attended to so it lasts as long as possible. Overseeing the preparation of Junior Guest Rooms, Fellows Guest Rooms and Conference Guest Rooms. Liaising with the Accommodation Manager and Head Housekeeper for student and conference room allocations and assisting with the arranging of weekend rosters. Particular attention must be paid to checking lights, towels, and bathroom facilities. Reporting any problems to the Maintenance department. Monitoring linen requirements and where necessary undertake laundry duties. Monitoring cleaning stock supplies and liaising with the Accommodation Manager on stocks and products. Key issue and return for required areas. Monitoring a Healthy and Safe working environment for the Housekeeping department and reporting any issues relating to Health and Safety immediately to the Head Housekeeper or Accommodation Manager. Assisting the Head Housekeeper with instructing on and ensuring the safe practice of the use of chemicals supplied to the housekeepers. To undertake any other such duties consistent with the purpose of the job. In addition to this the Housekeeping Supervisor will, when required, be expected to carry out normal housekeeping duties as follows:- DAILY The Housekeepers are to enter every room in their care, unless bins are out, in which case on day 2 the Housekeepers should enter to check the student’s/conference guests welfare. The Housekeepers are to empty wastepaper bins, air the room if necessary, and clean the wash-hand basin. The Housekeepers are to clean designated toilets, bathrooms/showers and ensure they are adequately equipped. WEEKLY The Housekeepers are to give all rooms a thorough clean by dusting, wiping and polishing exposed surfaces and vacuuming the floor. The Housekeepers are to ensure no foodstuffs are perishing. The Housekeepers are to clean and sweep designated corridors and passages. The Housekeepers are to liaise with the Head Housekeeper regarding linen requirements. The Housekeepers are expected to report for collection of cleaning materials to the Assistant Clerk of Works (every Monday). Person Specification Essential:- High standards of cleanliness and excellent attention to detail Experience of staff supervision Experience of cleaning in different conditions A high level of interpersonal communication skills Knowledge of Health and Safety The ability to train others in safe working practices The ability to work using own initiative A logical, thorough, and flexible approach to his/her work The ability to priorities tasks under pressure. The ability to work as part of a team but to also lead a team Some level of computer literacy Discretion, tact and sensitivity. Punctuality and good timekeeping.